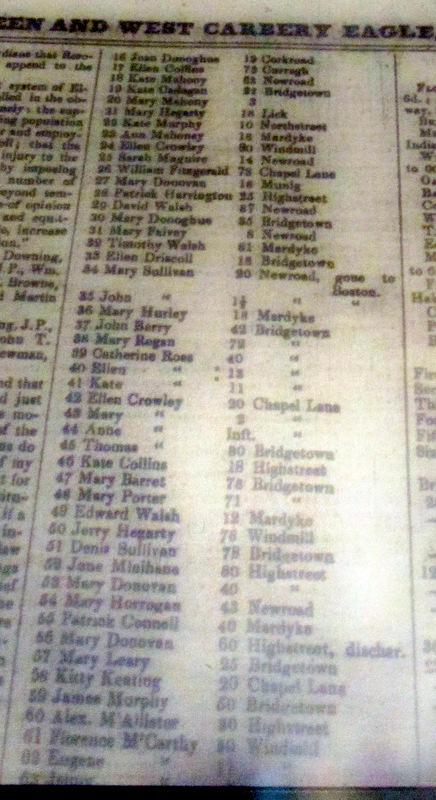 Listing of Paupers, Skibbereen Workhouse,1862. 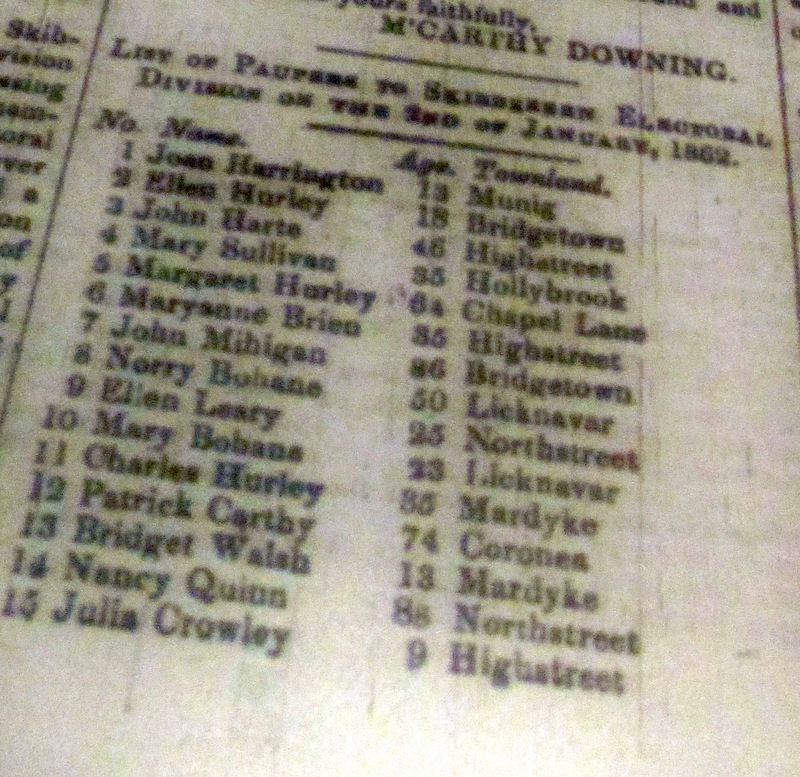 Re Bantry: None of the inmate registers survived for Bantry workhouse during the famine, or later on. 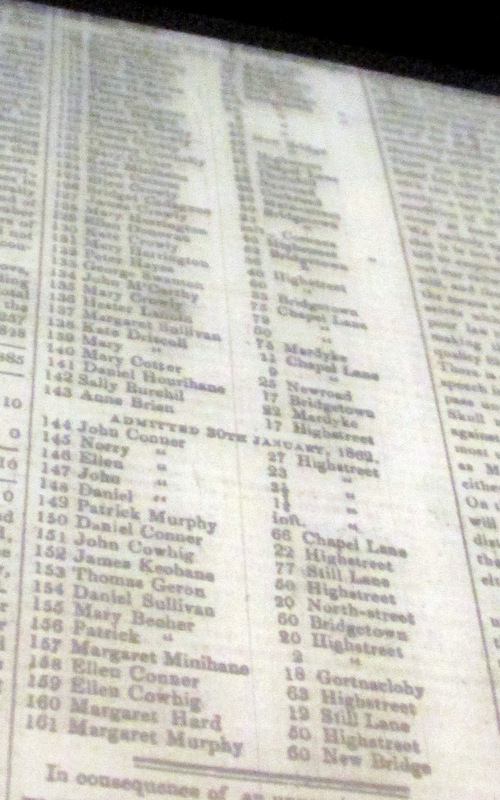 Listing of Paupers, Skibbereen Workhouse, 1862.